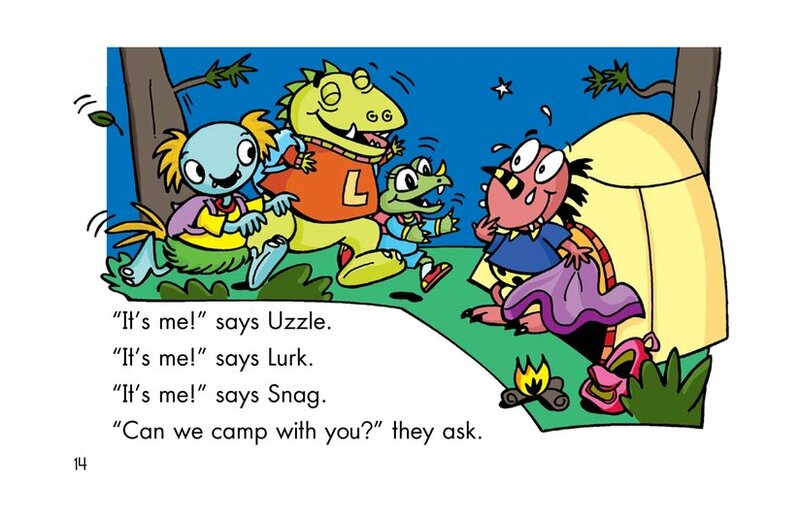 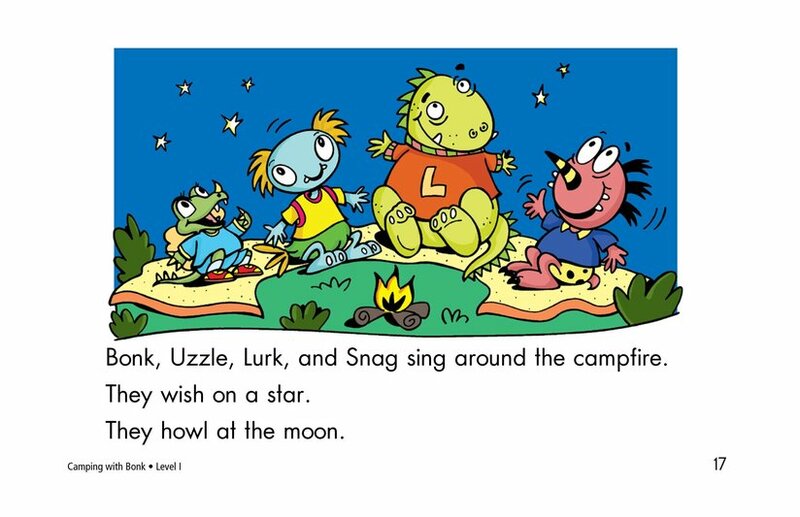 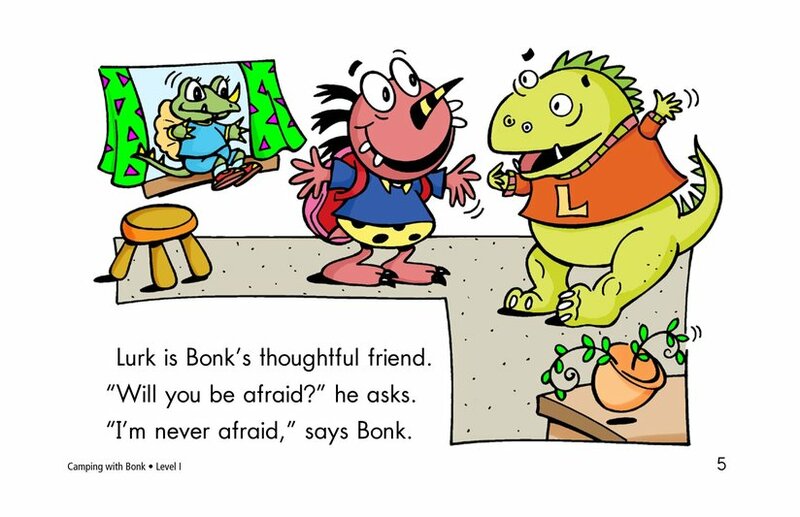 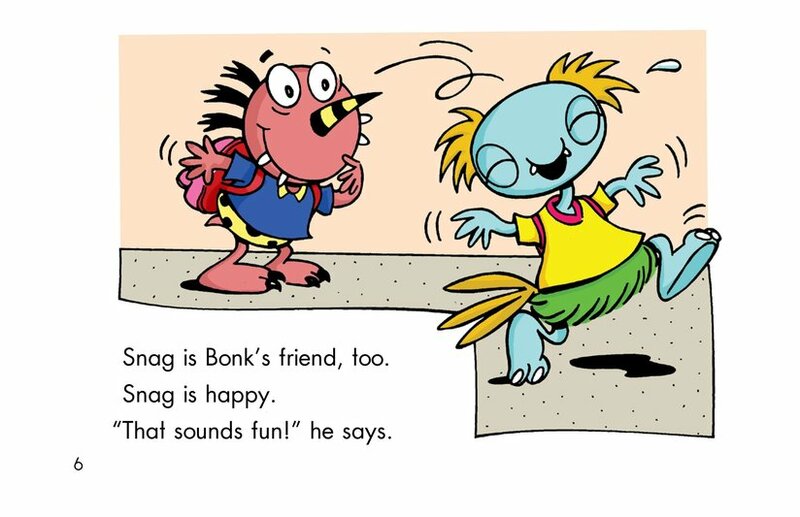 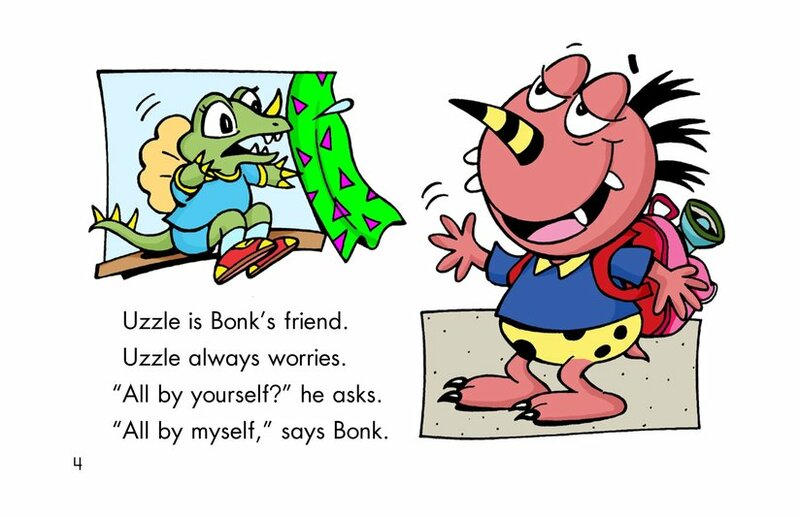 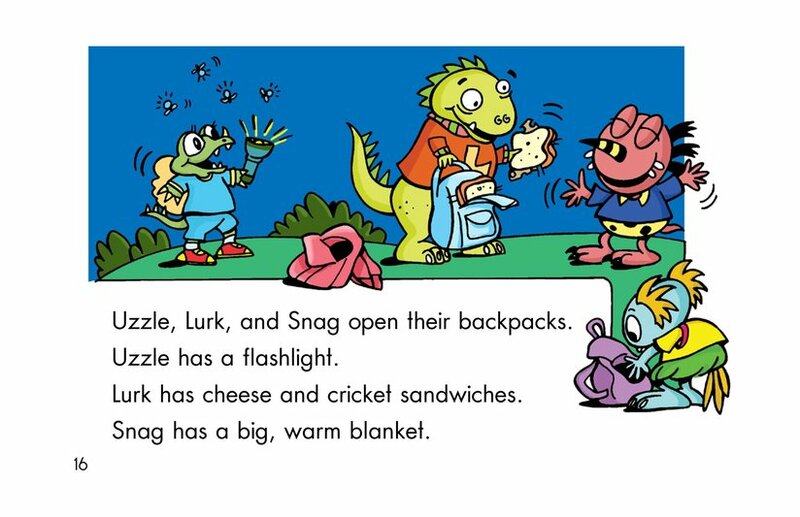 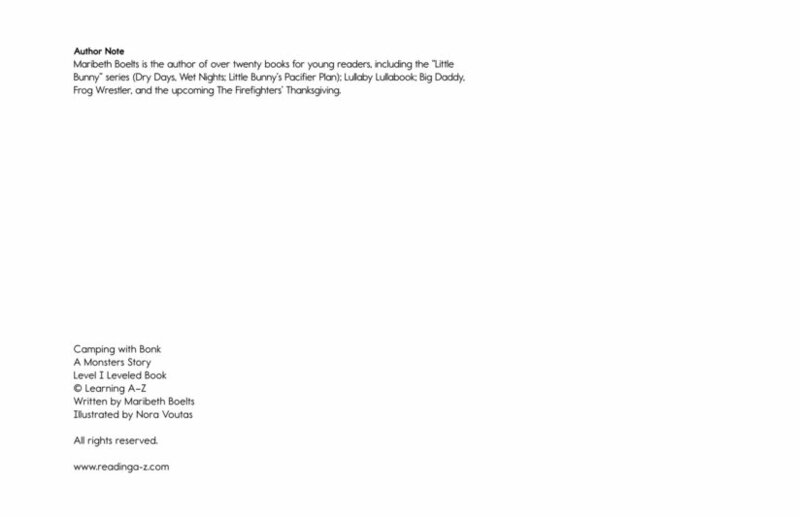 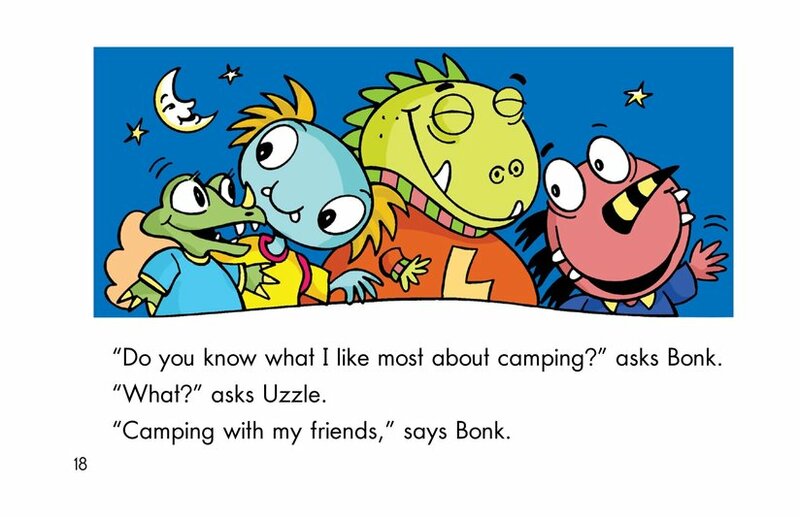 This is the first book in a series about a group of monsters who are friends. 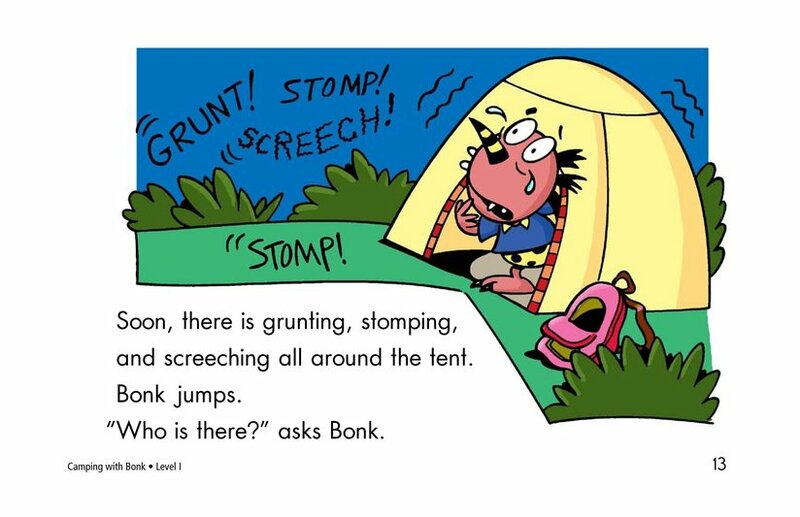 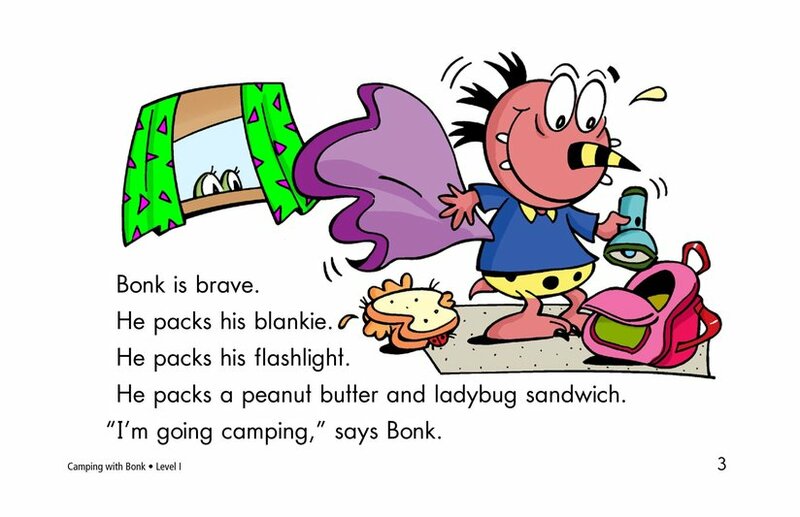 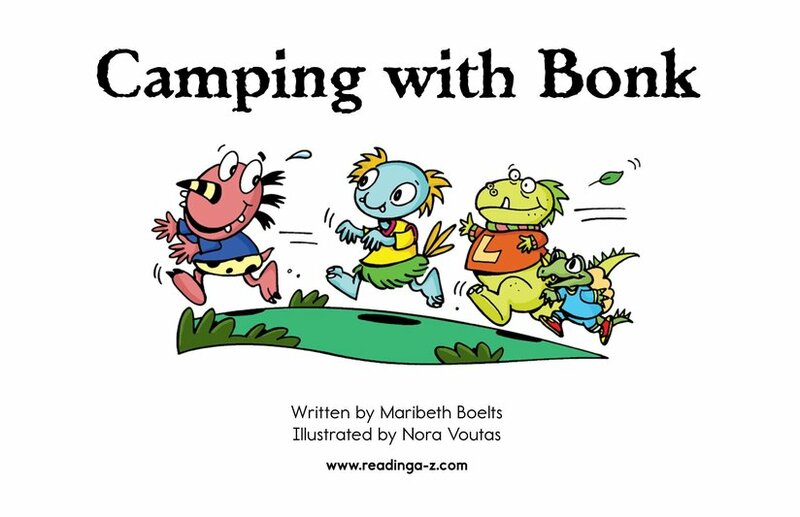 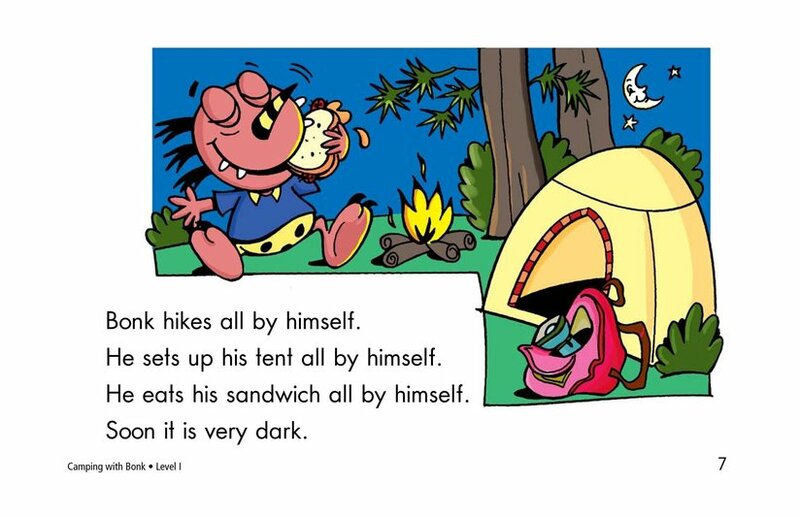 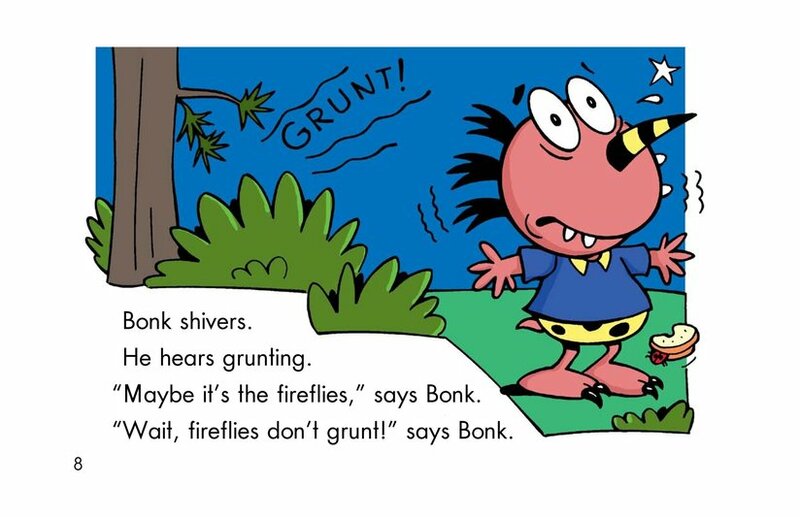 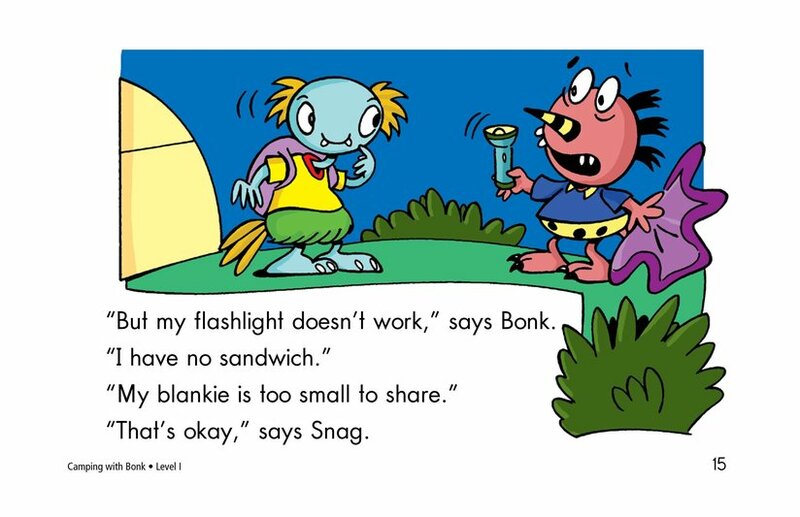 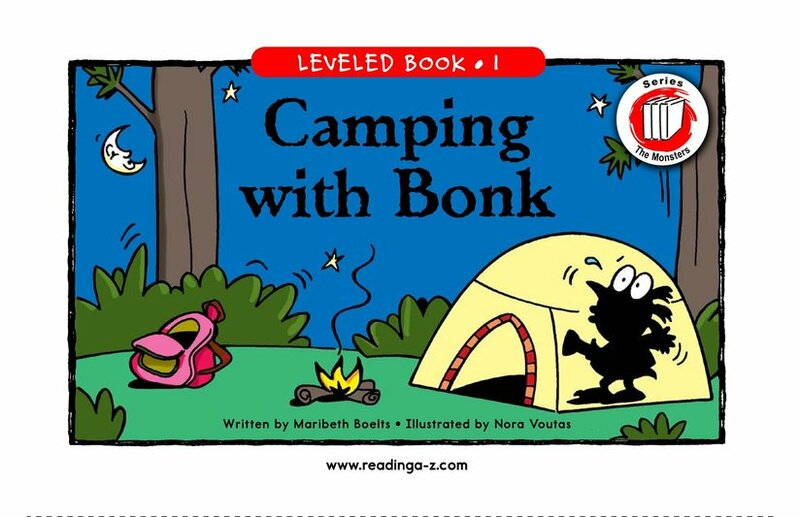 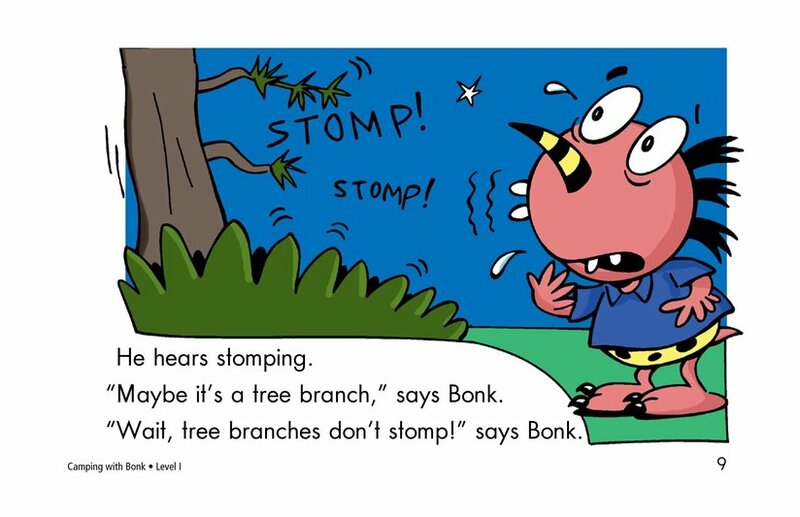 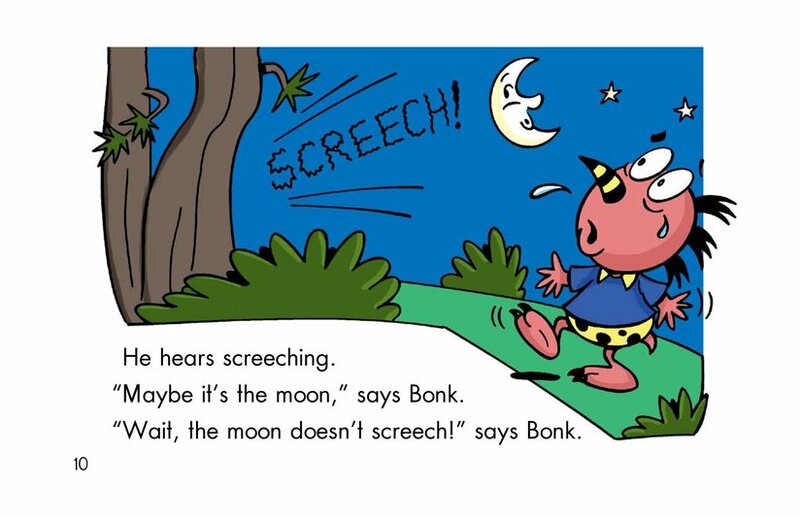 Bonk decides to go camping by himself. 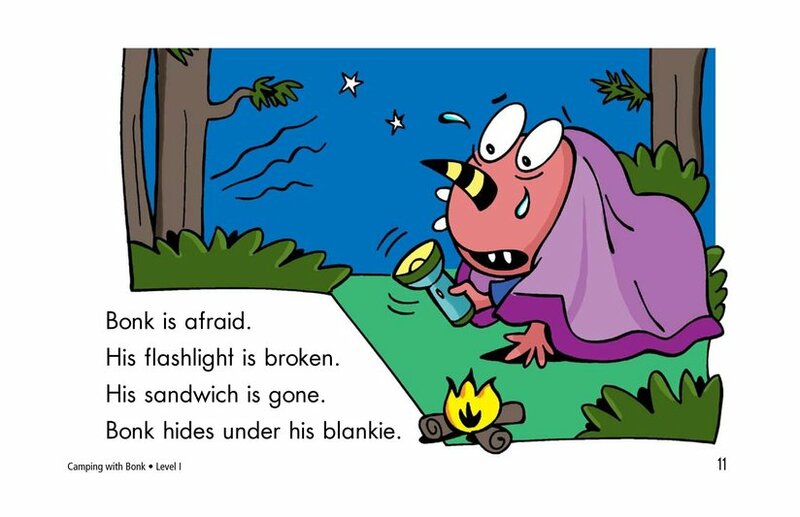 He gets scared when darkness falls and he begins to hear strange noises. 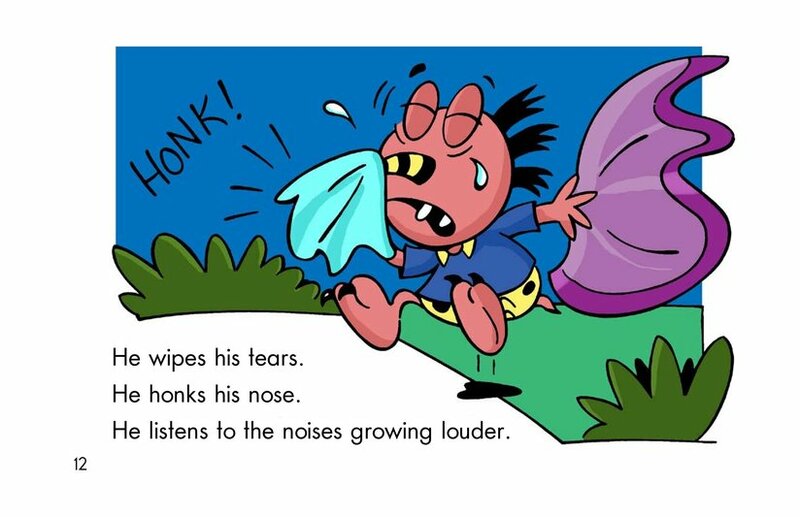 The noises turn out to be his friends who have come to join him.